My fingertips smell of peppery flowers and vanilla. The sample vial of Dolce & Gabbana Velvet Love has spilled in my handbag, and I have been trailing the spicy carnation with me for the past couple of weeks. Every time I reach into my purse to fish out my wallet or a pen, my fingers catch some of the fragrance as well. Soon, I started applying Velvet Love out of choice to indulge in its smoky sweetness. When I first read about the Velvet Collection, I dismissed it as another prestige brand attempt at playing niche and exclusive. 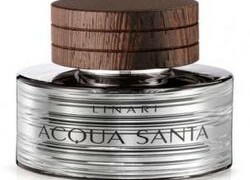 Velvet Vetiver, Velvet Wood, Velvet Patchouli, Velvet Sublime, Velvet Desire and Velvet Love sounded interesting enough, but I was still behind on smelling some of last year’s big launches to add six more perfumes to my list. Still, when I passed by the D&G counter, the display caught my attention, and I dutifully smelled through the collection. I left with a sample of Velvet Love, which ended up at the bottom of my purse until it finally announced its presence by spilling onto my checkbook. If you love carnation as much as I do and regret that it is considered old-fashioned, any new carnation perfume is something to be savored. Velvet Love is a modern carnation, with the peppery warmth hiding under the translucent petals. The rose and ylang-ylang are lush and tender, and the crisp lily of the valley gives Velvet Love a pleasant freshness. In contrast to Caron Bellodgia or Cartier L’Heure Convoitée, Velvet Love speaks in the woody and spicy notes, rather than the floral ones. When I smell it on my skin, it suggests not the crimson carnation, but rather the specks of clove and allspice in my gingerbread cookies. The dark vanilla wraps the petals and spices of Velvet Love in its sweet embrace, with musk tempering the smoky richness. As much as I enjoy the oriental melody of Velvet Love, there is one aspect of it that bothers me sufficiently to dock a star. It does not have a particularly strong presence. As elegant and polished as it is, I crave more drama and I wish that I could turn up the volume. What I smell in Velvet Love is so appealing that I find myself dreaming of an extrait version in which all the dark and luscious facets of this perfume would be more pronounced. For the time being, I will enjoy my sample of Velvet Love for its elegance and wear Caron Poivre whenever I crave more carnation fireworks. 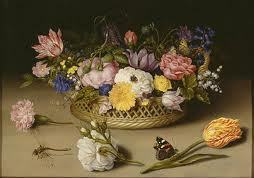 Image: Flower Still Life, Ambrosius Bosschaert the Elder Dutch, 1614. Vanessa: I tried this collection the other week and was pleasantly surprised by the whole lot, and made a mental note to re-sample them as it was towards the end of a big sniffing session. So much nicer than the ones with numbers that struck me as a very poor me-too of the Chanel Exclusifs! Suzanna: I, too, love carnation and you’ve made me curious enough to start up a “to sniff” list again. To that I will add the Cartier (whisked off the shelves of Saks and sent back to NYC according to my fave SA). Victoria: I’m with this; I like this collection more than the previous “numbered” one. Victoria: Metalys is my gold standard too, along with Bellodgia and Poivre. Unfortunately, the IFRA restrictions on the use of eugenol, an essential note, make it difficult to create the truly spicy carnation accords. Which is why Poivre smells so pale next to the vintage variety. mals86: Metallica, of which I’ve got a small decant, was really great, and of course Malmaison was lovely as well. Victoria: I liked Sicily, and especially the commercial with gorgeous Monica Bellucci. Victoria: Vitriol d’Oeillet was a major disappointment for me. It smelled medicinal and sharp, almost like a sore muscle ointment.